There is nothing sweeter than settling in and putting your little one down for bedtime, pulling out a storybook and watching their eyes light up as you begin to read. A great story can set their imaginations on fire and leave them grinning from ear to ear as they anticipate what will happen next. We are excited to share with you some of our very favorite books — the ones that we know are tried and true with our own children. 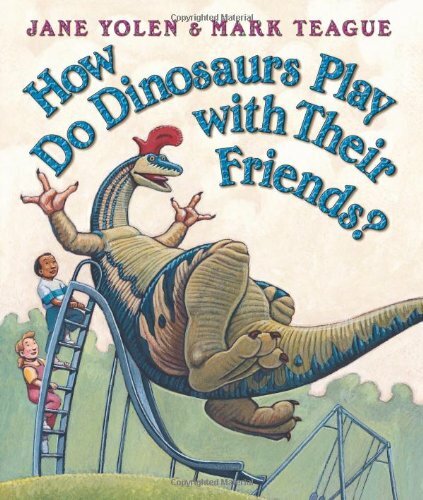 This week’s round of books focuses on a classic group of stars — dinosaurs! Every kid loves to dream of the time these graceful giants roamed the land. Don’t miss out on these gems! 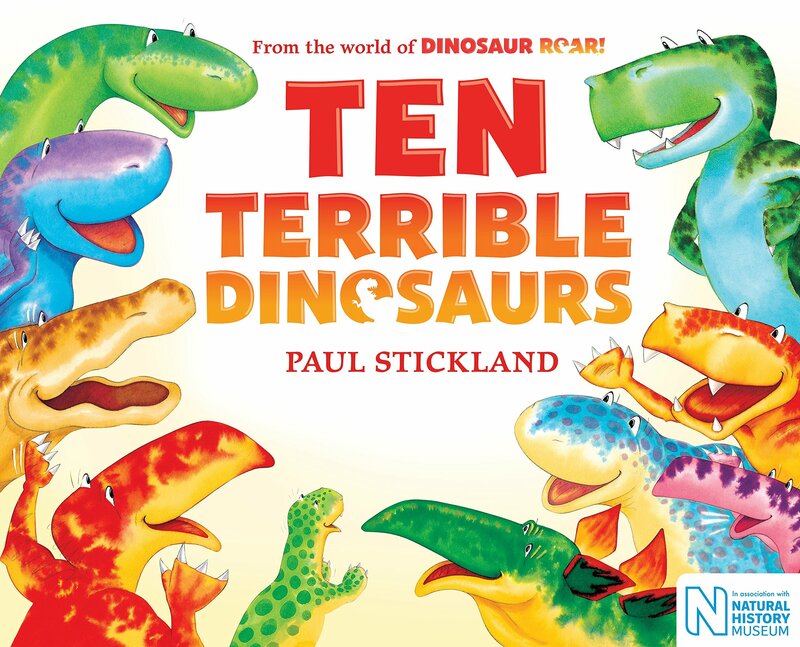 In this sweet story, one by one the rowdy and rollicking dinosaurs leave the scene. 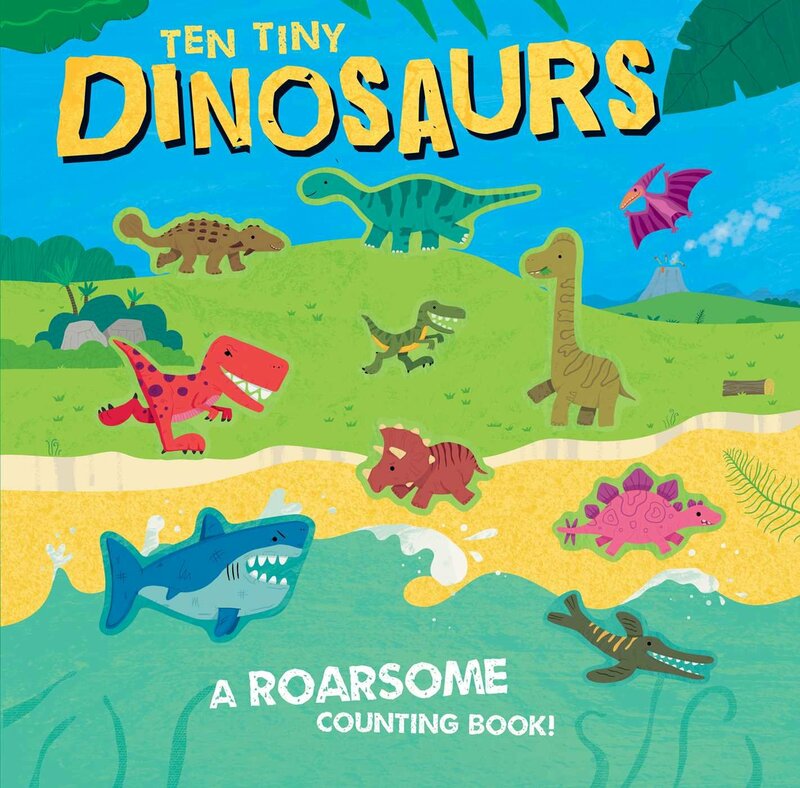 Your little one will count down along with the text until there is only one sleepy dinosaur left — until he gets a loud surprise from his nine noisy pals! This one will simultaneously bring their energy down, while saving a little surprise at the end. Click here to grab a copy – they’ll love it! 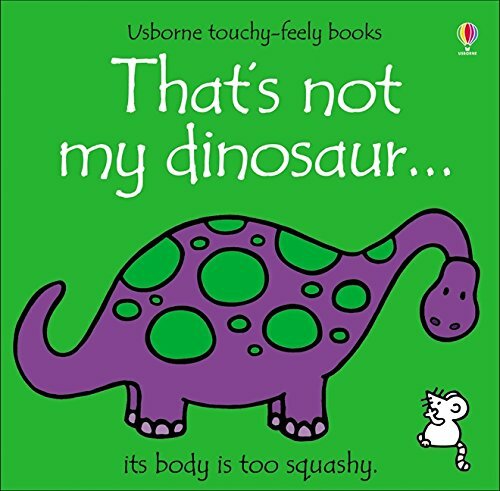 This book (click here) is great for sensory stimulation — every double page of this book features an interesting texture to feel, such as bumpy teeth or slippery flippers, as you and your little reader explore the surface of a toy dinosaur. We love to feel the textures almost as much as the kids do! 3. How Do Dinosaurs Play With Their Friends? Often, we find ourselves telling our children to ‘play nice’. This book teaches them how! With brilliant (and funny!) illustrations and clever rhymes, this is a story that comes with a lesson in disguise as a pleasant story. Your kiddo will learn that playing nice is easy, and fun! 4. Never Touch A Dinosaur! Contrary to its name, this book is all about touch-and-feel. We love sensory — fun textures and active involvement encourage our little ones to love reading at an early age. 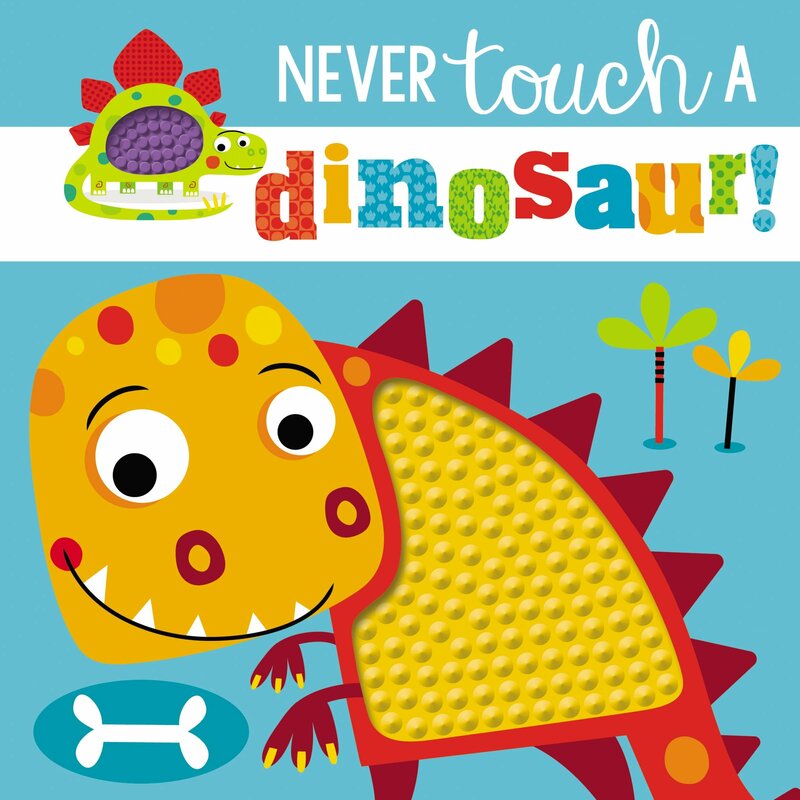 Your sweetie will love reading the funny rhyme that warns of the dangers of touching a dinosaur — and of ignoring the advice! This book is packed full of goodies: fun rhyming text, colorful illustrations, and 10 plastic dinosaurs embedded into the pages! In this story, the tiny, daring dinosaurs have just hatched from their eggs — you and your babe can follow along with them as they play in this interactive board book. The adorable little creatures are sure to capture your child’s full attention! Do your little ones love dinosaurs as much as ours do? 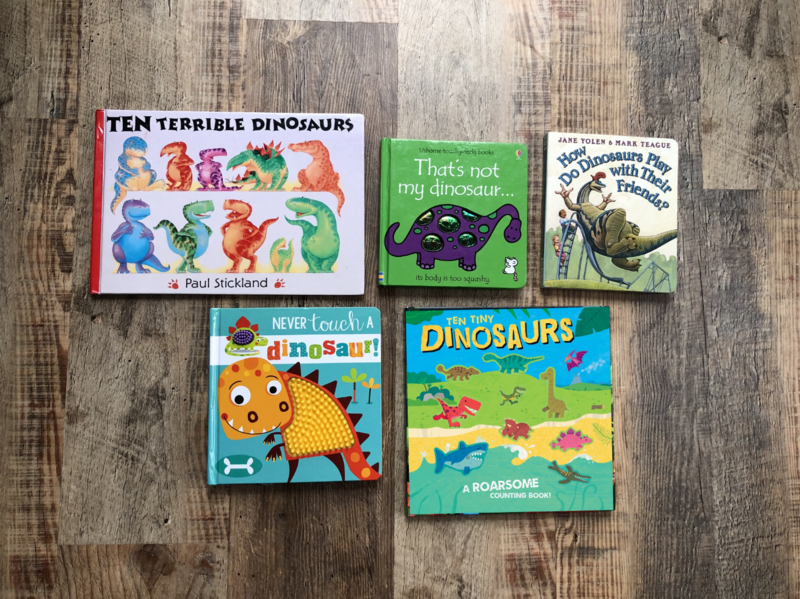 If you have a favorite dinosaur-themed book to read at bedtime, share it with us in the comments below! Keep an eye out — more of our favorite bedtime stories will be on their way to the blog very soon! See our previous toddler book recommendations here.